Fun With Puzzles Brain Teasers Lateral Thinking Puzzles Puzzles Riddles What am I Riddles Word Puzzles Riddle for Teens: What am I? Riddle for Teens: What am I? This What am I? Riddle is for high school Teens. However many Kids may be able to solve this Riddle immediately without much general knowledge. It requires little bit out of box thinking to quickly solve this Riddle. Lets see if you can think laterally and solve this What am I Riddle? Can you tell What am I? 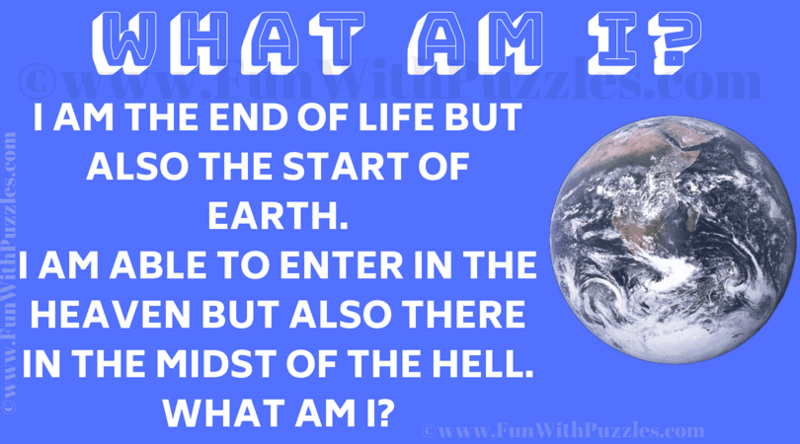 Answer of this "Riddle for Teens: What am I? ", can be viewed by clicking on answer button. Please do give your best try before looking at the answer.